Elizabeth Cockrell, Sustainable Salmon Intern with the Sitka Conservation Society will explore the role fishermen played in the development of Alaska’s sustainable fisheries and management policies on Sunday, August 5th, 5pm at Kettleson Memorial Library. 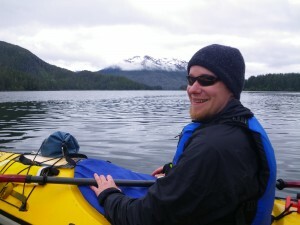 Join us as we cruise north to the the West Chichagof Wilderness Area. We’ll travel through Salisbury Sound to Fish Bay and Suloia Bay. Guest speakers will include SCS Wilderness Coordinator, Adam Andis and Darrin Kelley, USFS Wilderness Ranger. Tickets are $35 and can be purchased with cash or check at Old Harbor Books located at 201 Lincoln Street. Boarding will begin at 12:45 pm at the Crescent Harbor Loading Dock. Hot beverages are complimentary and binoculars are available to use. You are welcome to bring your own snacks. These cruises are heavily discounted due to a generous non-profit rate donated by Allen Marine. There are no additional discounts for babies, children or seniors. Though the Tongass is a National Forest, it’s functions are ever interconnected with the sea. Salmon epitomize the coalescence of marine and terrestrial ecosystems, as they return from their lives at sea to spawn in streams throughout the forest. Their carcasses feed bears and fertilize the earth, perpetuating the forest’s life cycle. Many trollers head for shelter in small rural communities like Port Armstrong. Located on the south end of Baranof Island, Port Armstrong is a salmon hatchery where a population of roughly twenty people live year-round. Biologist Ben Contag manages and lives at the hatchery, and trolls for salmon in the summer on a vibrantly colored boat called the Quest. He catches fish that he himself has raised from eggs. His daughter Lavon, 16, says, “We live off the land here. We hunt deer, smoke and can our own salmon, and gather mushrooms.” The community gets all of its electricity from an on-site hydroelectric power plant, generating water that flows from a nearby lake. “It’s the best water in the world,” Lavon says, well aware of the unique beauty of her family’s lifestyle. While studying visitor use in wilderness areas is an everyday part of my job, I’ve found that explaining what makes a wilderness area different from a large grouping of trees has become the largest secondary part of my work experience. So what does make the land outside of town in wilderness or something else entirely? By stating wilderness areas in America are lands designated by congress for recreation would be correct, but the concept gets more muddled when breaking it all down. The take home message for wilderness areas is that they are lands designated for the American people to use. The language in the wilderness act tells us that wilderness exists for the enjoyment of the public and with regulations in hopes future generations have the chance for like experiences. Recognizing these wilderness areas are places set aside which harbor some of the best natural landscapes in the world is a must. 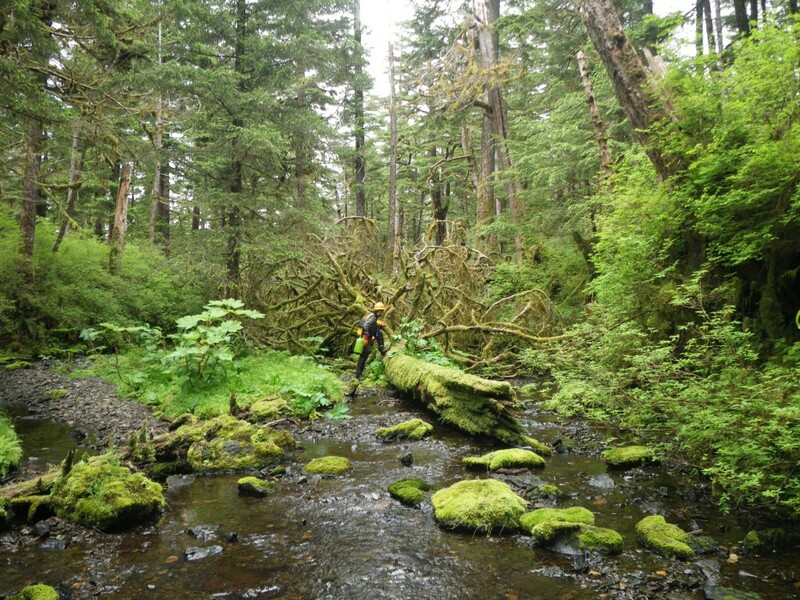 For instance, the wilderness areas near Sitka Alaska harbor old growth stands that rise up dramatically forming awe inspiring landscapes that are both magical to witness and imperative for a whole host of specie’s survival. For arguments sake I’ll point out the one such species, marbled murrelets, which are unique sea birds requiring old growth tree stands for nesting. So, having distinguished that these special places require careful considerations, what types of restrictions attempt to help lessen human impacts? The big restrictions mostly revolve around having no mechanized use, specifically things like helicopters, chainsaws, or even bicycles. The purpose behind these restrictions is to allow the American people real opportunities for wilderness solitude in unspoiled natural areas. Additionally wilderness lands are not specifically designed for entrepreneurs to exploit as other larger tracks of federal land encompass a variety of use options such as timber harvesting. However, with delicate use wilderness guides help transport people into places otherwise not available to the average citizen. The central theme of the American wilderness experience is providing a place where a person can travel and feel like the natural world still exists. The small restrictions on use help ensure these beautifully wild places will continue to exist at the same capacities in the future. Additionally, the price of experiencing truly natural places is invaluable and having wilderness remain pristine during these days of ever shrinking wild lands is vital for the American experience. Recapping, wilderness is an area of federally designated land, set aside for the American public to enjoy in the most natural ways possible. There are restrictions on use to ensure future generations have the opportunity to continue to enjoy these places without man’s overwhelming influences. For most of us that means the perfect place for viewing a bear with cubs, finding the perfect place for an outdoor adventure, seeing the pictures our friends and loved ones share with us from magical places, or simply knowing that the natural environment witnessed today will exist tomorrow. This summer I have the great opportunity of interning with the Sitka Conservation Society and the United States Forest Service’s Sitka Ranger District. I am excited for getting on with my duties revolving around visitor use studies in the Tongass National Forest and sharing my experiences. So without further ado let me officially introduce my blog spot; I will share my travels into the Tongass National Forest’s officially designated Wilderness and national forest lands, which yes indeed differs from a patch of unoccupied trees outside of town. With this glimpse into my summer I hope to paint pictures of interesting experiences with the people, land, and wildlife. I have had the great fortune of residing in a variety of places throughout the country including Oklahoma, Texas, Louisiana, Maine, California, and Alaska. Moreover, I’ve rambled into some of the most beautiful spots in America on road trips, vacations, and pure itchy feet adventures. Throughout my life I have been attracted to the wilder places, and at a certain point I found a need to help positively impact these most special places. In a nutshell this is how I find myself in my last semester studying Recreation Management at The University of Maine Machias and visitor use in Alaska’s Tongass National Forest for the summer. Thank you for following me through my travels and please remember the places I will discuss exist only in the visitor use capacities they currently hold due to previous public support and require public participation to remain at the current levels. Similar to how one would peel an orange, Tommy Joseph uses his hands to “peel” logs. The wood shavings surrounding his cottonwood trunk table are a testament to this, as are the masks, hats, and hand-made tools present in the artist’s 9-week-old gallery, Raindance. Tommy’s ability to transform wood into art has brought him to many distant places yet threaded throughout his work is the Tongass National Forest, a constant source of raw materials and local inspiration. Yellow cedar, red cedar, and alder are his muses and according to Tommy, “each wood has its own personality, aroma, and attitude.” Personalities that can determine how Tommy uses the wood, such as alder—a soft, no-grain wood that does not irritate, and is an odorless, tasteless, material well matched for masks, bowls, spoons, and salmon-smoking. Through his work, Tommy has been able to carve out different ways of seeing the Tongass National Forest. He brings out from the wood shapes of ravens, salmon, armor, and hats—teaching us about Sitka’s rooted Tlingit history while also allowing it to grow. 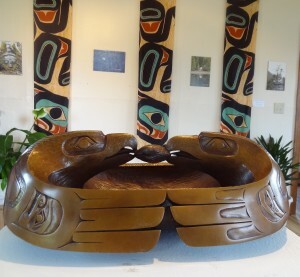 Alder served as the mould for Tommy’s large bronze piece titled “Lovebirds,” which features a raven and an eagle sharing a clam between their beaks. Visitors often think the two birds are fighting over the mollusk, so Tommy takes the time to act on his commitments to education and artistic transparency by explaining the true meaning of the sculpture. Exciting Opportunities to Piggy-back with SCS and Reach Remote Locations! 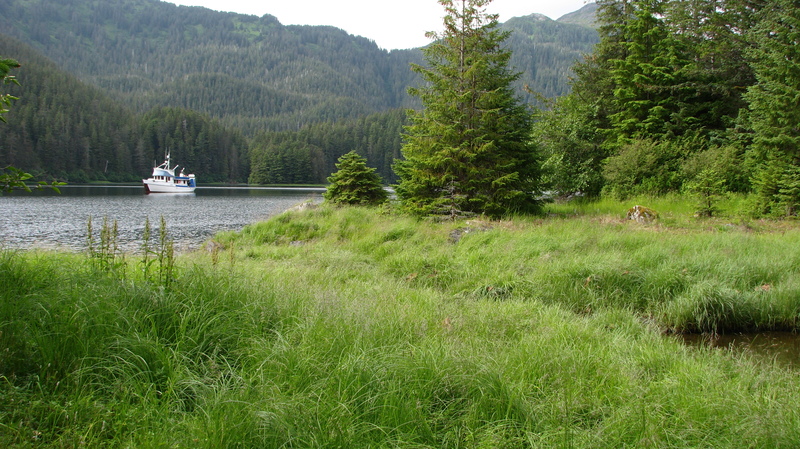 The Sitka Conservation Society field crews are doing remote field work throughout the Tongass this summer. Our field work this summer includes salmon-habitat restoration work at Sitkoh River and Sitkoh Lake, ecosystem conservation and connectivity work in Hoonah Sound, invasive plant removal in Wilderness Areas, helping teach a visiting University course on Alaska’s Forests, Fisheries and Wilderness, and much more. On some of the trips, there are opportunities to jump on some of our flights or transport to get out to remote locations. We hope that SCS members can take advantage of these opportunities and get out to know and experience our Tongass backyard! 2) Peril Strait Boat Cruise Ride-Along, July 13th, $45: The trip from Sitka North through Peril Straits is a maze of twisting waterways, islands, mountains, treacherous tidal currents, and beautiful bays and coves. Ride along with SCS on an Allen Marine Boat for a pick-up at False Island. The boat will leave at 9am and will return at approximately 1pm. Bring your charts and see if you can follow-along with the route through the passage that separates Baranof and Chichagof Islands! There are only 2 spots available on this trip so if you are interested in this opportunity to travel through Peril Straits, get your tickets now at SCS Offices. 3) Float Plane Drop-off at Goulding Harbor in the West Chichagof Wilderness Area July 30th or 31st ($150/person): Goulding Harbor is one of the most spectacular nooks in the West Chichagof Wilderness Areas. Its unique shoreline is dimpled and littered with islets and coves and the long sloping beaches make for great brown bear habitat. Two trail-heads depart from Goulding Harbor. One leads to White Sulfur Springs and the other follows an old mining rail-road to the Goulding Lakes. It is an amazing place for a wild and remote Wilderness Adventure. SCS has scheduled a float plane pick-up at Goulding Harbor for a crew that will be coming in from a Wilderness expedition. If you would like to take advantage of a float-plane drop off to explore the Goulding Harbor Area, this is your chance. Contact andrew@sitkawild.org (747-7509) for more information (This is a drop-off only. Participants are responsible for their own travel plans and arrangements after drop-off). Keep watching for more opportunities to get out and explore the Tongass. SCS already has boat cruises scheduled and there may be more opportunities to piggy-back for travel to remote Wilderness Areas! July 1st marked the first day of the first king salmon opener of the summer for commercial trollers of Sitka and Southeast Alaska. 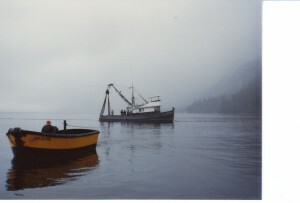 A fishing opening is a period of time in which commercial fishermen are legally allowed, as determined by the Alaska Department of Fish and Game, to harvest their catch and sell it to processors. When ADF&G declares the fishery closed, no one may fish until it is open again. Typical king trolling openers are only about ten days, which means every day is crucial for these fishermen. Before July 1st, small trollers all over Southeast leave their harbors in search of the best salmon spots. They cruise the inlets and bays of this island-rich region, dragging their hooks slowly through the ocean, trolling for the salmon that mean livelihoods for individual fishermen as well as whole communities. As they fish, they are constantly protected by tall mountains and thick woods of the Tongass National Forest. The Tongass is a temperate rainforest, and its unique ecosystems support the populations of salmon that sustain Southeast Alaskan economies and communities. What started as an idea to put second growth timber to practical use in 2007 has since taken shape as the most frequently used cabin in the Tongass National Forest. The Starrigavan Cabin Project combined local watershed restoration, community recreation and practical vocational training to produce a forest service cabin that four years later, continues to enrich the lives of Sitka locals and transients alike. Many watersheds across the Tongass National Forest have been clear-cut and harvested for old growth timber. The resulting land is referred to as ‘young growth’ or ‘second growth’ and differs from its original landscape in various ecologically critical ways. Many plants and wildlife such as salmon and black-tailed deer, require the unique assets old growth landscapes offer; the encompassing health of larger ecosystems such as the temperate rainforest of the Tongass National Forest, depends on the existence of old growth. For that reason, organizations interested in protecting intrinsically and economically valuable lands and watersheds often turn to restoration efforts such as ‘thinning’ of second growth forests to accelerate the return of young forests to old growth conditions. A byproduct of restorative thinning is not surprisingly: second growth timber! Unfortunately, second growth timber here is not as unique and economically marketable a commodity as Alaskan old growth. However, finding local economic use has proven not impossible and in light of the success with the Starrigavan Cabin project, second growth timber is becoming a beautiful and sustainable alternative to environmentally damaging old-growth clear-cutting. Although, one hundred and fifty cabins are available for recreation within the Tongass National Forest, the Starigavan Cabin is both the first ever produced using local second growth timber and the first cabin accessible (weather permitting) by vehicle. Therefore, not only did this cabin demonstrate a charming and functional use of second growth timber, it’s subsequent presence continues to extend forest stewardship to those unable to access Southeast Alaska’s more remote cabins. The restoration work that resulted in the wood, the class that provided local vocational training, and the production of the Starrigavan cabin itself have left a truly significant legacy here on Baranof Island. A tangible demonstration of the shift from unsustainable old-growth harvesting to second growth restoration timber, this project is a reflection of a truly resilient and innovative community working to protect the vast landscape they are fortunate to call home.